Happy October! 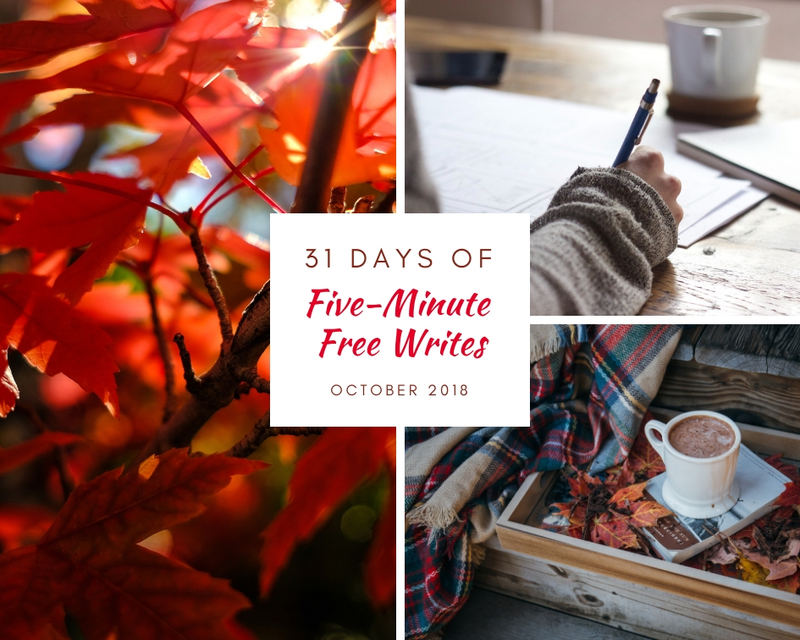 This month, I’ll be participating in a Five Minute Friday challenge called “31 Days of Five Minute Free Writes,” responding to a one-word prompt for five minutes each day in October. Click here to join in! For convenience, I will using the one-word prompt as the title for each post. I like to think of my life as a story that God is writing. Or I think of all of history as a story, and God is using me as a pen to add another chapter. God is the Author of the greatest story ever told, the story of the redemption of mankind. How blessed I am to be a character in this epic! Each of us has a story: experiences, feelings, relationships, and faith make up a riveting narrative. When others hear our stories of God’s grace to us, they are touched and encouraged. When they hear of His faithfulness to us, they gain hope in the midst of difficult times. When we tell them how He loves us, they realize their value in the eyes of their Maker. When we share His message of salvation, they are drawn into relationship with Him. What a powerful tool the Lord has entrusted each of us with, a unique story that tells of who He is. Share your story with someone today, and be encouraged that God will use it in ways you never could have imagined.